Week 7 - September 21 - 25, 2015 - TEST WEEK!! Good luck :) Study, study, study! 3rd Period - Complete the Voyage to Savannah packet and the new project with vocabulary and trading cards. 5th Period - Go over Step 3 of the Mary Musgrove, Tomochichi, and design of the city of Savannah packet. Students should fill-in all blanks that have not already been filled in. 3rd Period - In groups, choose one of the following two options to complete during class today: 1) Create a poster depicting the colonization of Georgia using as much information you can about the events that took place, the people who were involved, and the reasons for settlement. 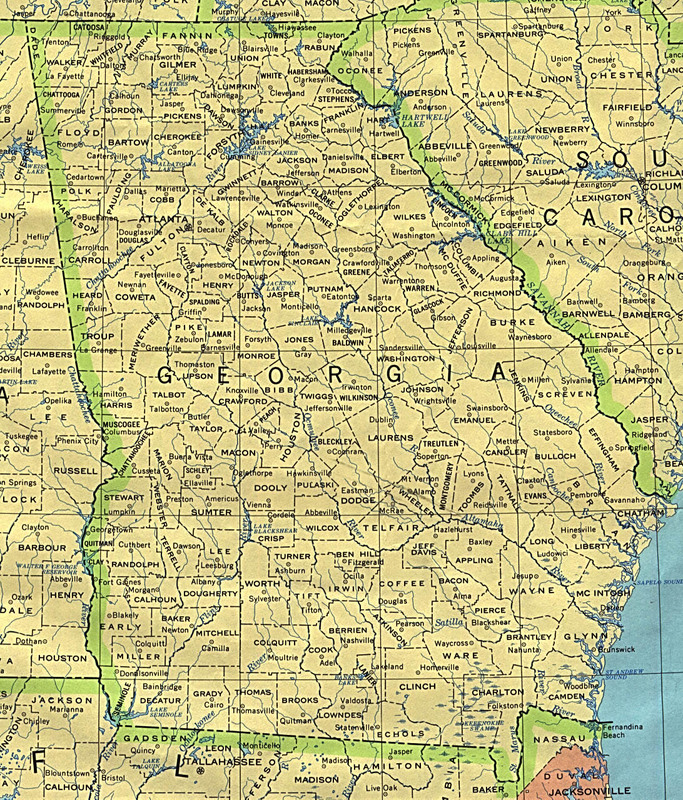 2) Create an advertisement for the people of Great Britain to urge them to move to the new colony of Georgia using what you know about its climate, land, and what will be offered to colonists who choose to move. 5th Period - Go over the design of the city of Savannah and watch the following two Georgia Stories videos: The Scottish Highlanders and Ebenezer: The Stone of Help. 3rd Period - Complete warm-up "Georgia: The Buffer Colony" and watch the following two Georgia Stories videos: The Scottish Highlanders and Ebenezer: The Stone of Help. 6th/7th/8th Periods - Study the design of the city of Savannah and answer the questions related to the reading. Complete the Document Based Question analysis with your group today. 5th Period - Complete Compare and Contrast visual text warm-up using the visual text analysis sheet; Begin working on "A Colony for the Worthy Poor" and Charter of 1732 primary source analysis. I will be in the Media Center all day today. You have a substitute, Mrs. Davis. If you have questions about any assignments after class, please see me in the morning tomorrow. All Classes - Socrative Check-In (Formative Assessment) Over "The Debatable Land"